Episode 080 :: Rebecca Crane :: What Defines Mindfulness-Based Programs? Rebecca Crane returns to the podcast to speak with us about the new paper What defines mindfulness-based programs? The warp and the weft. With the proliferation of programs using the word mindfulness in their title, there comes a valid question: how does the consumer know this really is a mindfulness program? And how do I know my teacher has been adequately trained? Just two days ago as of this recording I saw an advertisement for an MBSR course that was clearly not an MBSR course, it was half the contact time and perhaps inadvertently misleading attendees about what they were getting. So what are the common factors across the board, regardless of the specific program details? 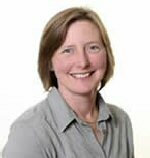 Rebecca Crane directs the Centre for Mindfulness Research and Practice, and has played a leading role in the development of both the training and research sides of the centre since it was founded in 2001. Prior to this she worked for 15 years in the mental health field as an Occupational Therapist and an integrative counsellor. Rebecca has had a personal interest in meditation for over 25 years and personal practice is an integral part of her life. She has received training in the use of mindfulness-based approaches through working with Mark Williams and colleagues from the early development of MBCT teaching, through to recent work on the Oxford / Bangor University investigation of MBCT for people with recurrent depression and suicidality; through a 15 year and ongoing engagement with the teachers and MBSR training programmes at the Centre for Mindfulness in Massachusetts. 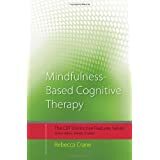 Rebecca is a certified MBSR teacher with the Center for Mindfulness in Massachusetts and has written Mindfulness-Based Cognitive Therapy: Distinctive Features. What defines mindfulness-based programs? The warp and the weft. Psychological Medicine, 2016.